Sofa, sleeper, futon, bed, this 2-in-1 pullout is designed for relaxing just about anywhere. The Intex Queen Inflatable Pull-Out Sofa Air Mattress is versatile and goes from an inflatable sofa to a queen-size air mattress momentarily. This pull-out, inflatable sofa offers valves with extra-wide openings for fast inflation and deflation (air pump not included). It features waterproof flocked top surfaces that are soft to the tough and tough enough for outdoor use. 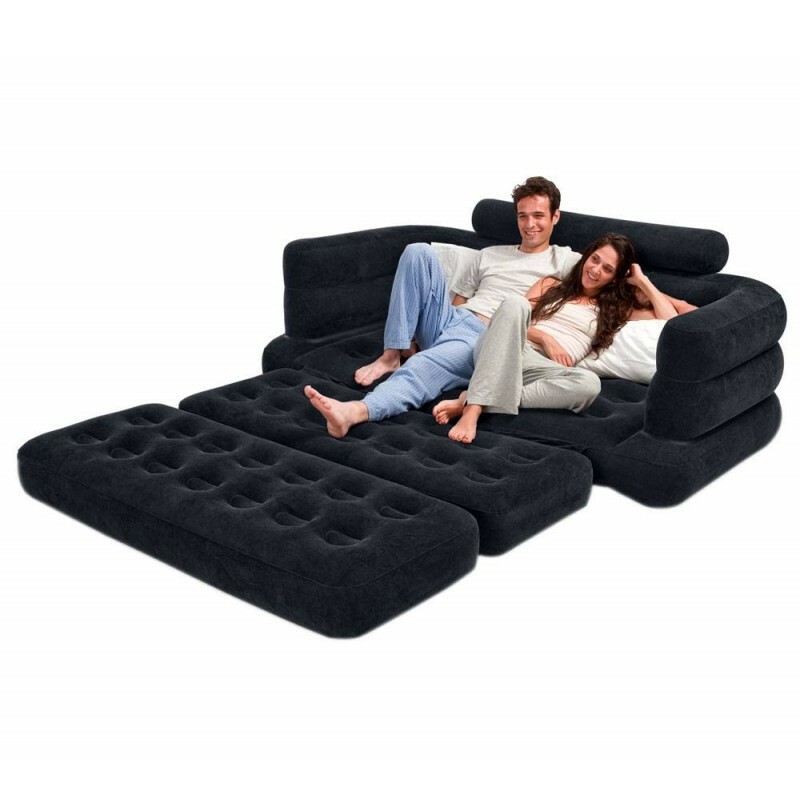 With a comfortable backrest and armrest for sofa-chilling and a queen air mattress large enough to sleep 2 people, this 2-in-1 design is efficient and convenient for your needs. Watch a movie, take a nap in your tent, or just relax and read a magazine, the Intex Queen Inflatable Pull-Out Sofa Air Mattress is ideal for lounging around or sleeping.